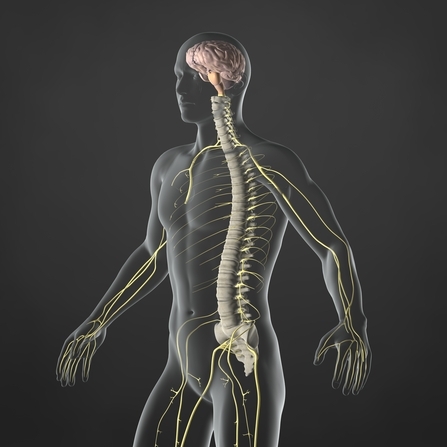 Your spinal cord delivers nerve signals throughout your body. You have 31 pairs of spinal nerves that convey signals from your brain to other parts of your body. And they all enter and exit through your spinal column. The nerve root is the point at which a nerve exits your spine and connects to peripheral nerves. Peripheral nerves constitute both sensory and movement nerves. When looking for the source of your back pain — and often other pain associated with peripheral nerves, such as in your legs or hands — your Charleston spine physician may conduct a series of nerve conduction studies to find that source. Testing your nerves, a process called NCV or nerve conduction velocity, is relatively painless. Depending on the degree of the stimulus your doctor gives you, you may feel a slight discomfort for a moment. The pain never lasts, though. You’ll have patches placed on your body to deliver the electricity. These are electrodes similar to those you get when you have an electrocardiogram (ECG). After stimulating a nerve, the doctor can tell how quickly the nerve signals from your spine reach the electrode, thus determining the health of your nerves. An NCV often is followed with an electromyography test (EMG). This nerve test involves placing tiny needles in your muscles. This test is a little more uncomfortable and you may experience slight muscle soreness afterwards. While the acupuncture-like needles may cause a bit of discomfort, they can provide a truly useful source of information for your diagnosis. Successfully treating your pain relies on an accurate diagnosis that comes from the right kind of nerve tests, alongside your medical history, your symptoms and your spine physician’s observations. All work in tandem to get you back to your daily routines as quickly and effortlessly as possible. Your spinal medicine doctor doesn’t want to perform surgery any more than you want to undergo a surgical procedure, so surgery is often the last option. The earlier your spine physician at the Southeastern Spine Institute can find the source of your back pain and discomfort, the better chance you have of arresting the disease in the first place. Tests take about 45 minutes each. After you undergo nerve tests at the Southeastern Spine Institute’s main campus in Charleston, South Carolina, you can return to work and your normal activities immediately.